Please consider helping us continue in our mission and to assist those in our community. The generous support of individuals like you makes it possible for ONEVisayas to exist and helps to make our community a better place to live. You can donate either in USD via our Donate.ly campaign page using the form on the right, or in your local currency, via any of the PayPal Donate buttons on our pages. If you would prefer to donate by check or wire transfer, please contact ONEVisayas through the contact us form in the page footer. We welcome in kind donations. Of special interest are organic seeds (soy, corn, vegetables), farm materials, and medical supplies and audio/visual training equipment. To inquire and coordinate, please contact ONEVisayas through the contact us form in the page footer. Anyone willing to provide help at our eco-farm in Barangay Cabaohan, Pastrana, Leyte, will be more than welcome. However, skills in sustainable organic agriculture, agricultural engineering, soil and water conservation, food science and technology would be especially valuable to our cause. 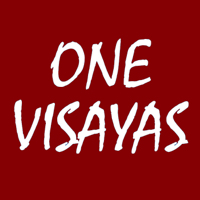 For inquiries, please contact ONEVisayas through the contact us form in the page footer.